This year, fresh and healthy looks, neutral tones, and gold take the spotlight. Fashion Week is the time for discovering the latest not just on clothing, but also on accessories, hairstyles, and makeup. While not all looks can fit into your daily life (smeared glitter eyeshadow, anyone? ), some fall into the functional and wearable category. For this reason, we've rounded up five trends you can integrate flawlessly into your look. The best part about smudged eyeliner is that it doesn't have to be perfect. Pick up a brown pencil and draw a hazy line around your eye. To smudge it out, use a fluffy eyeshadow brush for blending until you get the desired effect. For that all-over healthy glow, pick out a highlighter with a bit of pink and gold tones. First, swipe the highlighter across your cheekbones and on your eyelids for a glowing complexion. Brush on a peachy blush on the apples of your cheeks to complete the look. It's totally possible to recreate that post-facial glow at home. If you're having a really good skin day, brush your eyebrows upward and set them with clear mascara, conceal just around the nose and under your eyes, and apply highlighter on the high points of your face for a dewy effect. Gold flatters the spectrum of skin tones, from peachy pale to the duskiest of complexions. Use a brilliant gold shade as your main highlighter. Dust it on the tops of your cheeks and the inner corners of your eyes to make a subtle yet shimmery statement look. If you're constantly trying to look more awake and erase signs of that all-nighter you pulled, this is an easy look that takes almost no effort. Simply put some iridescent white eyeshadow all over your eyelids and keep the color concentrated on the inner corners. For more runway looks, watch this! 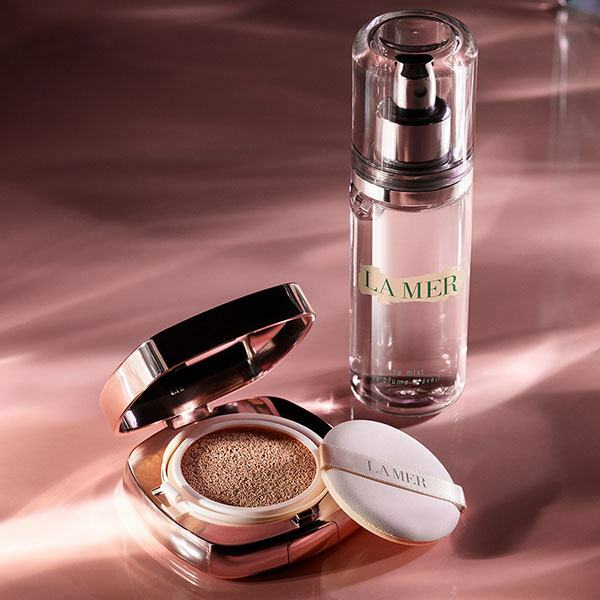 La Mer's Luminous Lifting Cushion Compact Foundation is a buildable coverage base with a naturally radiant finish. It employs La Mer's iconic Miracle Broth and color capsule technology to give the skin a luminous and dewy finish. La Mer is exclusively available in Rustan's Department Stores located in Makati, Shangri-La Mall, Alabang Town Center, and Ayala Center Cebu. Visit La Mer's website and follow them on Facebook to find out more about their products.